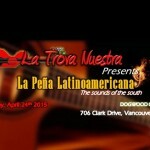 La Trova Nuestra is composed of a dozen Troubadours who originate from across Latin America and now reside in Vancouver. These Troubadours are the keepers of a musical tradition which began with pioneers of the vernacular song. 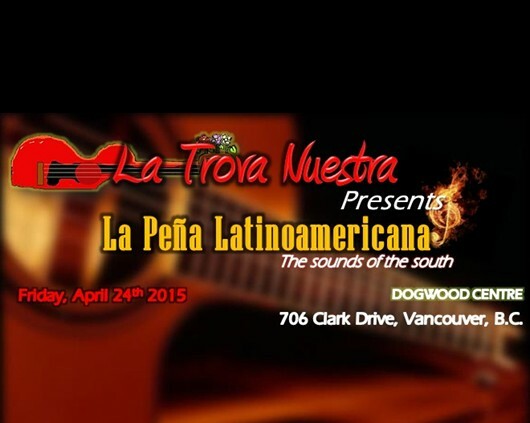 La Trova Nuestra incorporates this tradition interplaying music and poetry. At its foundation is the essence of a popular culture interpreting daily expression… an expression with origins deep within La Raza Mestiza (mixed roots) of Latin America — an expression of the explosive changes within the continent of Latin America today. La Trova Nuestra could be defined as “The encounter between a man, a guitar and poetry — Voices pledging for a better world”.